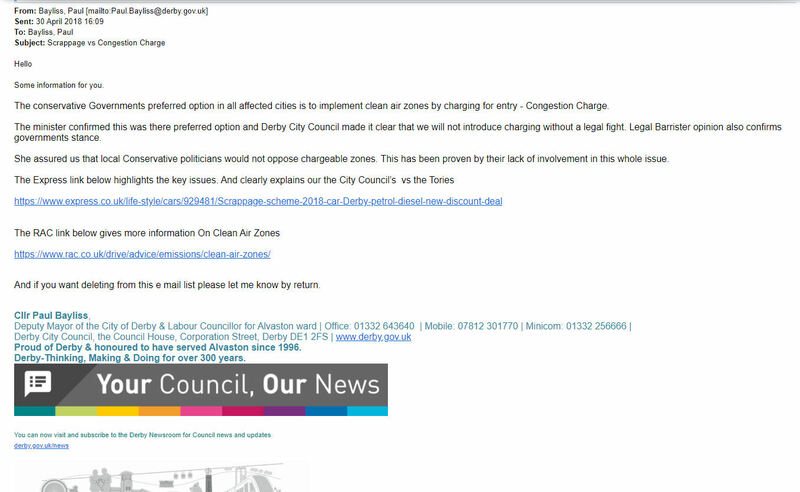 Since 27th March 2018, Derby City Council (DCC) has been in the pre-election period , known as “purdah”. This means that the use of Council resources for political purposes is strictly prohibited by s.2 of the Local Government Act 1986. Breach of “purdah” rules can result in very serious consequences for the individual and the Council. The definition of Council resources, by the Local Government Association, includes: telephones, email accounts, staff, paper, the use of any headed/DCC branded paperwork. All electioneering activities and materials must be clearly paid for from personal or party funds up to a fixed maximum. 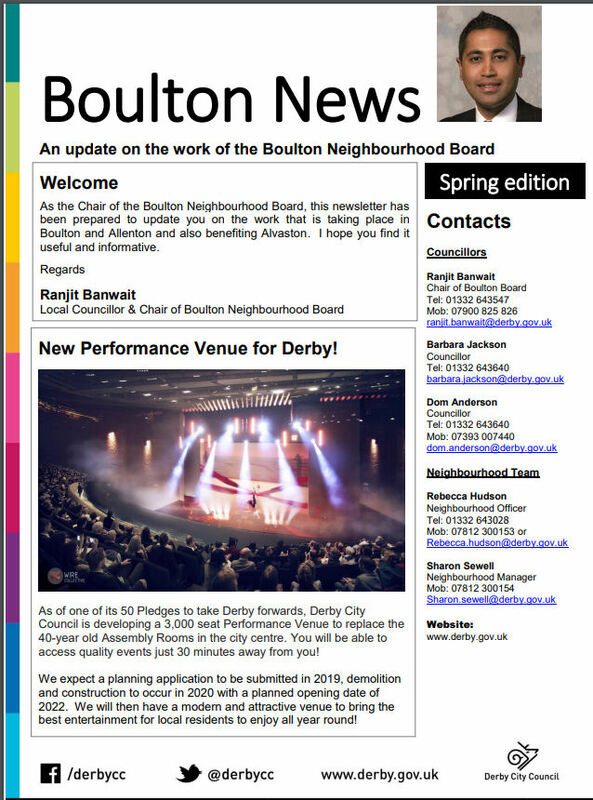 Ranjit Banwait is the Labour candidate for Boulton ward – he appears 5 times, including the “headline” photo. The document should actually be about Boulton ward, so should also include a cross-section of activities covered by Officers. 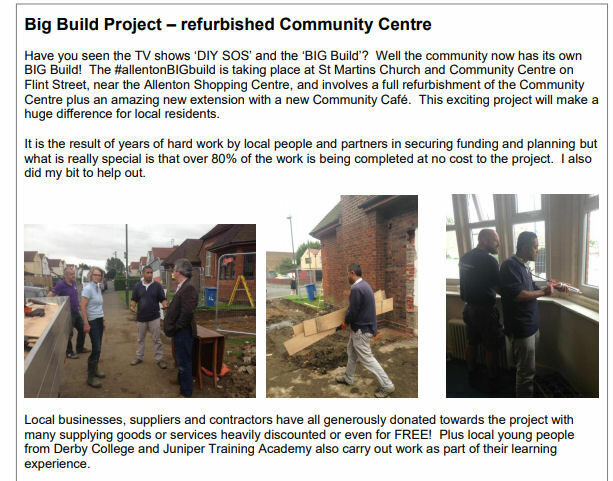 The St Martin’s build project was a “media event” that Cllr Banwait attended as a photo-opportunity. The pictures of the Moorways pool and from the Young Citizenship award are taken from news.derby.gov.uk – council photographs. Designed to influence the outcome of the election. The “purdah” rules might seem petty and pedantic but they are treated extremely seriously by the Electoral Commission and the Derby City Council Monitoring Officer. These examples have been referred for examination. Both Cllr Banwait, and Cllr Bayliss know the rules perfectly well. Less experienced Councillors keep a safe distance between themselves and any Council resources to avoid any risk of breaching “purdah”. Would a “reasonable person” conclude that public money/resources ( the monetary value is not relevant) were being used to influence the outcome of the election? It is for the Monitoring Officer to decide what to do next.